Caregiving families meet with me looking for caregiver tips and ideas to manage care for loved ones. Many are embarrassed to report that relationships within the family are not perfect. No family situation is perfect—my family was imperfect yet we were able to work together in the best interest of caring for our parents. 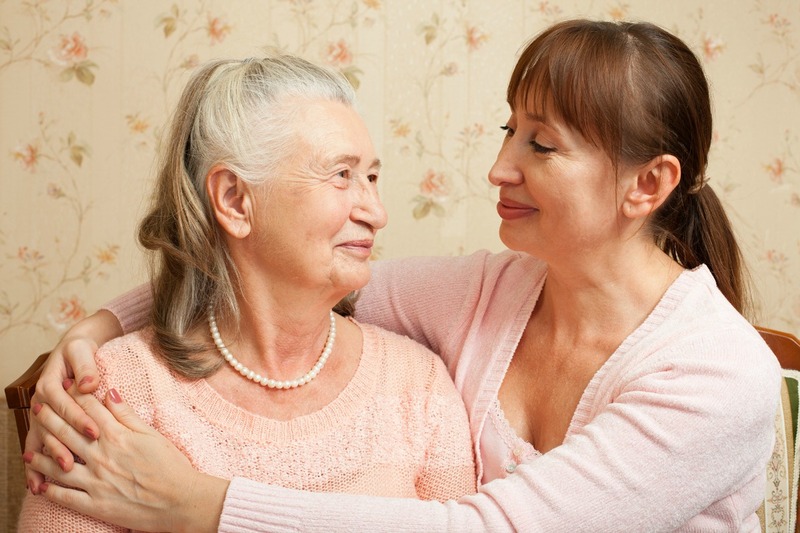 When caregiving situations arise, it’s often a single daughter who accepts the primary role of caregiver. Other siblings may exist, however they are many times non-contributing members. This lack of contribution has the potential to result in conflict and challenging family situations especially when the non-contributors seek to give direction but provide no actual support. The word dysfunctional is frequently used to describe family relationships. Some family relationships are simply in conflict; some do exhibit traits of dysfunction that include unrealistic expectations, distorted perceptions, an inability to cope with life challenges, and components of verbal, mental, physical, sexual, or substance abuse. The unexpected role of caregiving frequently brings conflict to a family situation for many reasons. My video, Family Relationships, provides insight into my family and how childhood relationships impact family relationships as we age and become caregivers or care recipients. A healthy family system creates an environment where individuals openly acknowledge problems, discuss differences of opinion, and work effectively toward change. Not all families are able to participate in this manner. When attempting to work through caregiving situations, it is important to consider family structure, individual backgrounds and experience, and willingness (or unwillingness) to contribute to a care situation. Many times we find it easier or quicker to complete a task than to ask a sibling or loved one to complete the same task. Many times we overlook a comment with which we disagree and then hold a grudge because we didn’t speak up. Why make waves when we want life to run smoothly? Our behavior of not allowing others to do what they are able or ignoring comments has the potential to snowball and result in feelings of non-appreciation, anger, dismissal, self-neglect, loss of dignity, and feelings of loss and control. Family members are often the greatest enablers, allowing unacceptable behavior to repeat and to continue. On a much greater scale are the effects of verbal, mental, physical, sexual, or substance abuse. While confronting these concerns may be intimidating and challenging; not confronting them is self-destructive. If you feel unable to initiate conversations to support others in taking responsibility for themselves or their actions seek an advocate or a counselor to support you. A situation that represents conflict or a problem to one individual may not present in the same manner to another individual. This concept is illustrated by the idea of appreciation. Many adult children become caregivers for parents through implied consent. A parent makes a request and the adult child performs. This performance has the potential to snowball into a significant amount of time or financial expense. The parent continues to make requests that are fulfilled without any expression of appreciation or recognition of the sacrifice related to time or effort contributed to the role of caregiving by the adult child. 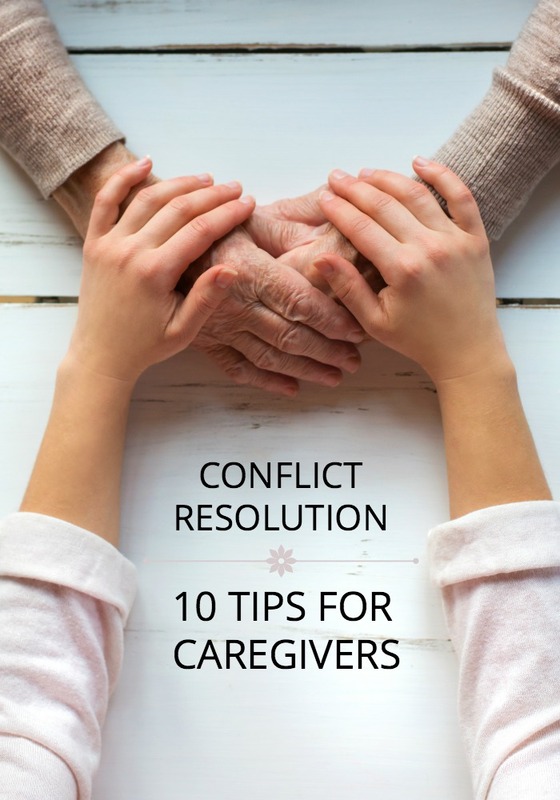 Without a discussion to set parameters the role of caregiving often veers out of control with the caregiver feeling angry and obligated while the care recipient is thrilled that most of their needs are being met. It is critical to have early conversations about the role and responsibility of caregiving to avoid damage to family relationships. We all have the ability to express an opinion; however it’s also important to be open to a different or new perspective rather than being closed minded. We all rationalize information and actions. For example, a parent may not want to attend day care program because the attendees are viewed as “old people.” Your parent is 95. While your parent may believe his or her rationale to be logical, there are likely other reasons he or she may not want to attend. Perhaps there is fear that the attendees will be in poorer health than your parent; thus your parent may fear his or her advancing health concerns. By being honest rather than generalizing or rationalizing information, it may be possible to grow in understanding of another person’s perspective or to embrace a new and beneficial perspective. Fear is often the reason for refusal to consider new ideas. Just because we’ve “always done it this way” does not make it right. There are degrees of changing family situations. A father who beat his wife and children may have a child who beats his wife and children and this pattern repeats. Always spending the holidays in the same manner prevents new family traditions from forming. Parents who expect ONLY their adult children to care for them may have to embrace new ideas and accept paid caregivers when adult children are unable to provide care. Times change and family situations must change with the times. If a belief system prevents an individual from improving their situation or lifestyle then it’s time to challenge the belief. How many times do we continue to attempt to change an outcome but the result remains the same? We fail to realize that the same input cannot possibly have a different outcome. It is difficult to change our own mindsets and habits. Sometimes we simply do not know how to change. A simple example is an individual with poor nutrition and self-esteem who is overweight, wears baggy clothing, and believes this is just the way “I am.” This person likely has friends with similar beliefs and behaviors. Research indicates that we are a product of our environment. We acclimate to the habits and beliefs of the persons with whom we spend time. Spending time with active individuals who attend the gym and participate in physical activity (although initially frightening) may change the current situation or belief that one cannot be thin and healthy. Learning to present information in a non-threatening manner is a learned skill as well as listening (without voicing your opinion). Never present your way as the “right” way. Listen to others opinions, stories, and beliefs. Stop yourself from immediately disagreeing—learn to be present and to embrace the ideas of others. Give consideration to different ways of thinking. As we age, people tend to become close-minded if we are not consistently exposed to new ideas and new information. Often older adults become isolated with their only friends being the television and the radio. Lack of exposure to people by way of one on one contact lessens the ability to communicate effectively. Embrace friend and family relationships, have something to offer in the way of information and learn to be an open and supportive communicator. If a family member seeks to change but their actions continuously direct them backward, help by outlining tasks in small steps that are not grandiose but attainable. Sometimes unrealistic expectations hold us back. How many of us believe that others have a better or easier life when this may not be reality? This better or easier life may have taken baby steps and years to attain. For older adults when health fails it is not always possible to remain independent without some type of assistance. While hope is an important factor, it is also important to be realistic relative to activities one can perform safely and activities that may result in an unexpected outcome. For example, an individual who previously experienced a broken hip may be wise to use a walker however vanity may get in the way. Not using a walker may result in another fall, more broken bones and not being able to live independently. Accepting the role of caregiver is challenging. Many women raise young children and care for aging parents at the same time. Caregiving is emotionally and physically stressful. Caregivers of older adults experience similar challenges to mental and physical health. Ignoring the challenges of caregiving and the stresses of being a care recipient only make situations more challenging. While it may be difficult and uncomfortable to acknowledge and talk about these feelings it is often these discussions that avoid permanent damage to family relationships. Caregivers and care recipients must be able to communicate openly while avoiding the blame and guilt that is common to situations of care. It is difficult to retract hurtful words or statements. Caregivers and care receivers feel they do not have the opportunity to freely express themselves because of feelings of guilt or of being a burden. Sometimes a caregiver or a care recipient will say something hurtful when an unexpected situation occurs and patience flies out the door. Empathy is important to finding the patience to refrain from an immediate response. It’s easy to say, “Let me think about that before I respond,” rather than saying something unkind that immediately comes to mind. One can step into another room or take a walk around the block to regain perspective in a highly emotional situation. In family situations that ability to listen and not immediately respond is a virtue. In serious or what some might consider “heavy” situations, humor can always be found; sometimes it just takes a special person who can look at the situation lightly and make positive statements. Try to find the humor in even the most challenging situations. Think of television programs or movies that you find humorous and watch repeats when you find your anger spiraling out of control. Find a song that makes you smile and sing this in your head when you feel your blood pressure rising. We have the ability to control our emotions, rather than to let our emotions control our behaviors. 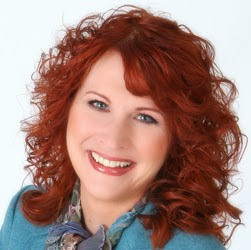 Her new book, The Caregiving Trap: Solutions for Life’s Unexpected Changes, is available through all major bookstores, as well as on PamelaDWilson.com. You can follow Pamela on YouTube, Facebook, Twitter, and LinkedIn. Since my brother is looking into hiring a caregiver for our aging mom, we want to ensure that she will be well-taken care of emotionally as well. I like that you mentioned how a caregiver should listen to our mom’s opinions, stories, and beliefs. Having this open and supportive communication is vital since seniors tend to become close-minded due to lack of exposure to people and new ideas. We’ll surely consider this when looking for a caregiver so that we can have confidence that our mom’s emotional well-being is taken care of.